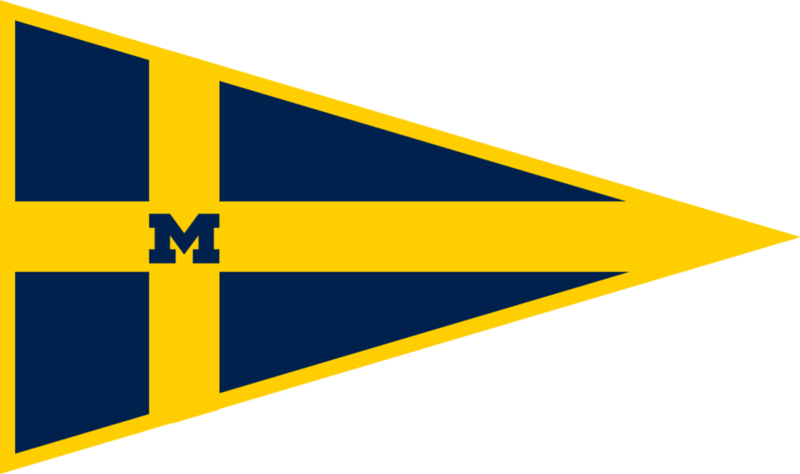 As an alumnus of the University of Michigan Sailing Team, you play a valuable role in our organization. You are so important to us, and we are always so grateful for your constant support of our sailors! Outlined below are different ways our alumni continue to be a part of the Michigan Sailing Team. The Michigan Sailing Team hosts an Alumni Regatta every other Fall as a way to bring back all of our former sailors for a fun regatta. We will be hosting this regatta Fall of 2018 and have planned a weekend full of events. Find more information here! We can't wait to see you there! As a club team, we often rely on our alumni to house our sailors for regattas all over the country. You can see the regatta schedule here. As our team has become more competitive, we are starting to attend more events outside of the MCSA. Regattas outside of our conference do not usually provide housing. No matter where you live, if you would be willing to consider hosting our sailors, please contact us! This is a vital component in reducing cost for our sailors and organization. The Michigan Sailing Team has a lot of first-time sailors who we are always aiming to equip with effective gear! We have started a drysuit rental program which allows our sailors to have access to drysuits during their time on the team. If you have any gear you would like to donate to our team, please contact our Sailing Development Chair, Connor Goulet at cgoule@umich.edu! We always love to meet our alumni! If you ever want to meet our captains, executive board, or sailors, you are more than welcome to do so! We're happy to have a call or meet in person. You can contact us to set up a time, or we can propose some dates centered around events we are hosting. Our organization relies on donations to succeed. With your help we are able to invest in our current and future sailors through short-term efforts such as boat maintenance, travel funding, and development for national events, and long-term efforts such as our endowment. All donations are greatly appreciated. If you wish to donate to our team, please click here. As always, if you have any questions about this process, do not hesitate to send us an email. Any Suggestions? Any Questions at all?